These sturdy manila pocket pages securely hold letter-size sheets as well as smaller, odd-sized documents and items. Made of heavy manila tag stock. Fits any standard three-ring binder. 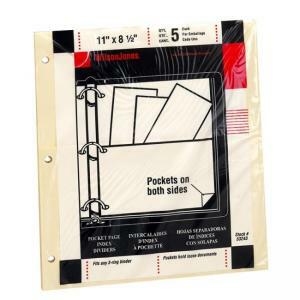 Offers one pocket on each side of page.